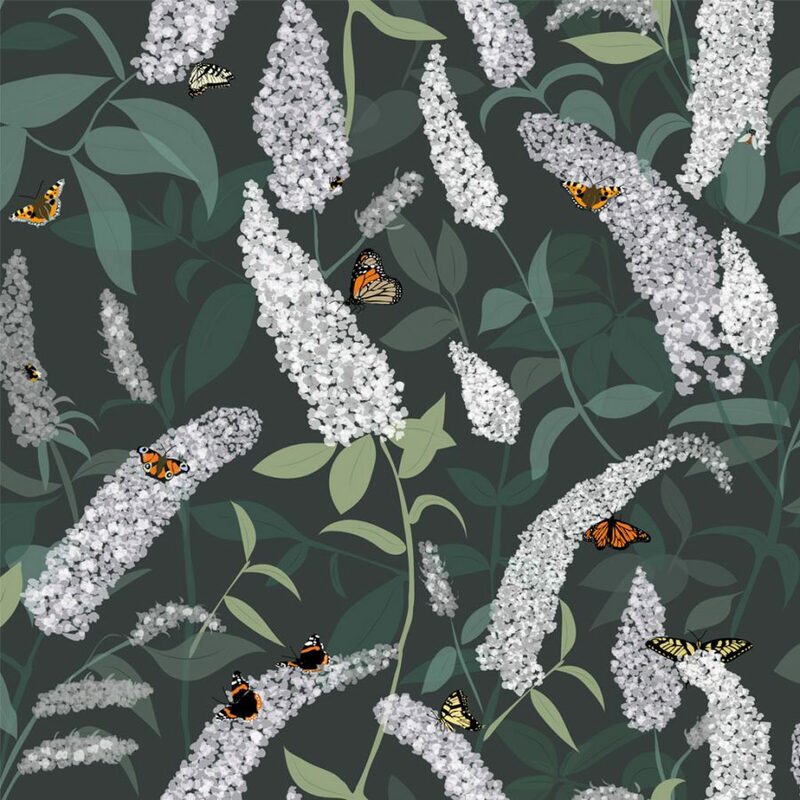 This butterfly wallpaper in shades of green showing British butterflies, including monarch butterfly, peacock butterfly and a swallowtail butterfly dancing among a white buddleia bush. 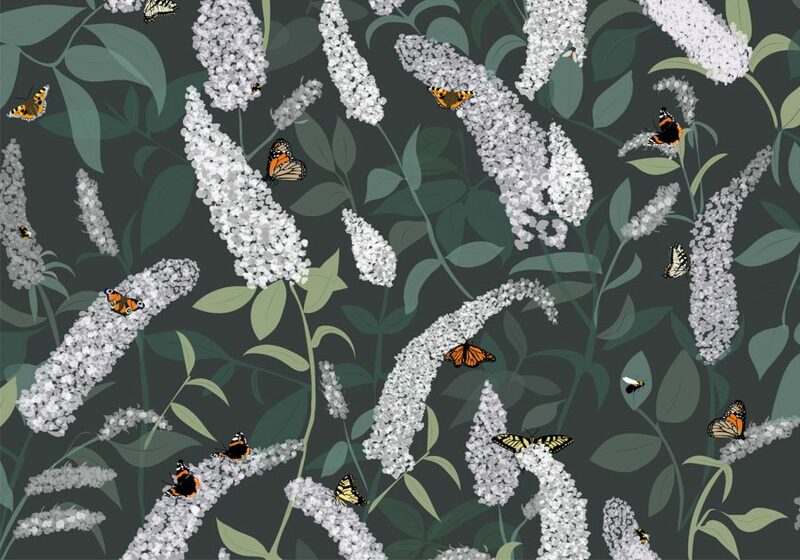 Our butterfly wallpaper, made in the UK, is easy to install with paste the wall paper. 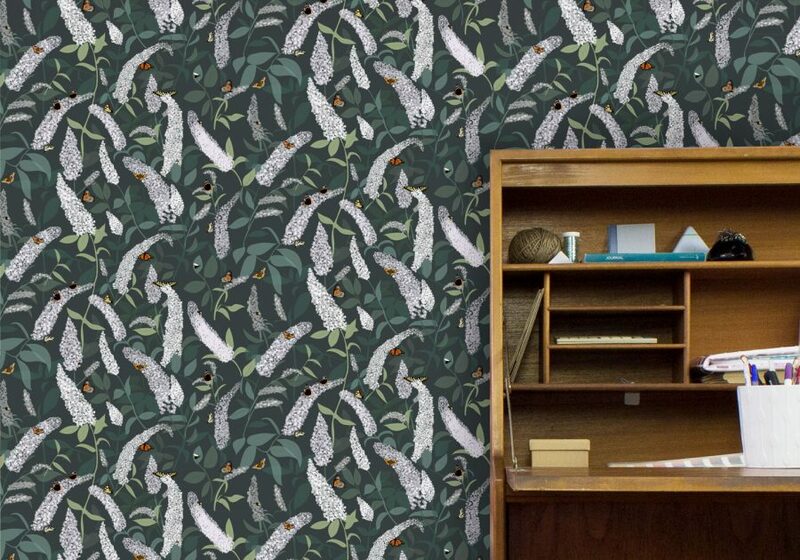 The non woven wallpaper won’t shrink or expand over time.